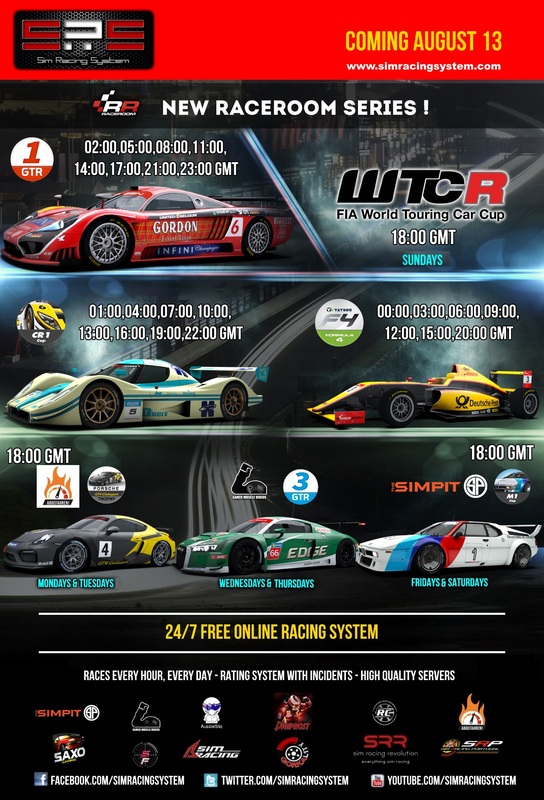 New raceroom Series starting August 13! Sim Racing System Sim Racing System News New raceroom Series starting August 13! We are delighted to announce the new series for Raceroom, starting August 13th! GTR1! Love those cars now, should be fun to race. The Saleen and the Aquila for the other series are free, so turnout should be good, even if driving standards aren't. I.... Wasn't aware WTCR had a release date. Did you strike a deal with Sector 3 or something? Either way, so hyped. The Saleen is also free on GTR1. I imagine that the admin will have some kind of information. I could only choose between the Saleen or the Ford GT on the 1400GMT GTR1 race, is that on purpose ? (08-13-2018, 02:37 PM)Pierre Hox Wrote: I could only choose between the Saleen or the Ford GT on the 1400GMT GTR1 race, is that on purpose ? Seems like a mistake. Those were the only cars available before the update. A applaud you for using free cars and introducing WTCR. Hopefully WTCR and WTCC will be popular so it can become a regularity in R3E series. The official FIA WTCR Sector3/Nogaro races will be at 19:00h CET. Isn't the same as 18:00 GMT? For me a big issue is R3E's business model. Take today for example, I was going to race in the Simpit BMW M1 series because I really like that car... Then last minute I realised I didn't own the track, checked the price and decided I didn't want to pay that much for a track I would probably only use once or twice. Just hold on. The northern hemishpere is getting cold in the next few months. We`ll have plenty people to race with!